They wrote for Elvis & Dion, The Coasters & The Drifters. They wrote Jailhouse Rock, Hound Dog, Stand By Me, & On Broadway. Leiber and Stoller, as much as anyone, virtually invented rock 'n' roll, and now their songs provide the basis for an electrifying entertainment that illuminates a golden age of American culture. In an idealized '50's setting, the classic themes of love won, lost and imagined blend with hilarious set-pieces and slice-of-life emotions. 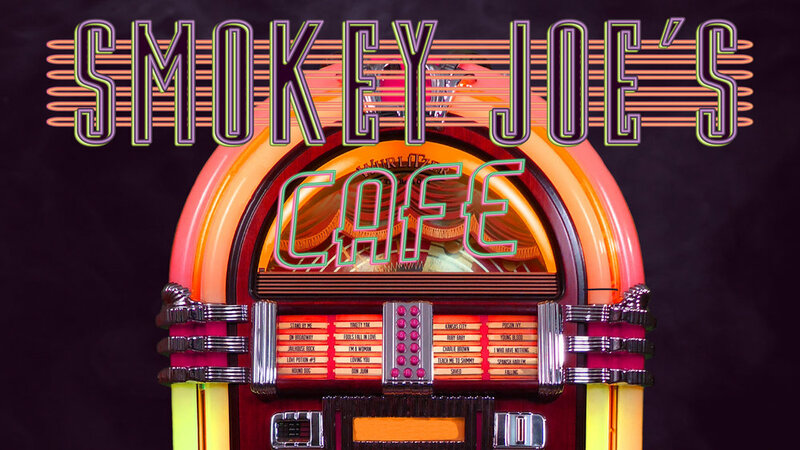 Featuring nearly 40 of the greatest songs of the 50's & 60's ever recorded, SMOKEY JOE'S CAFE isn't just great pop music - it's compelling musical theatre that will have you leaping to your feet.